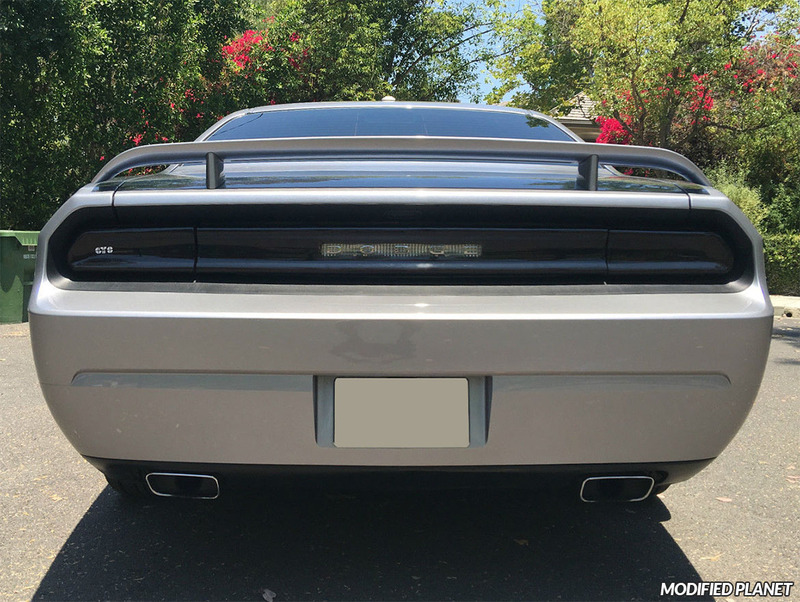 Modified 2011 Dodge Challenger lowered on a set of Edelbrock lowering springs. 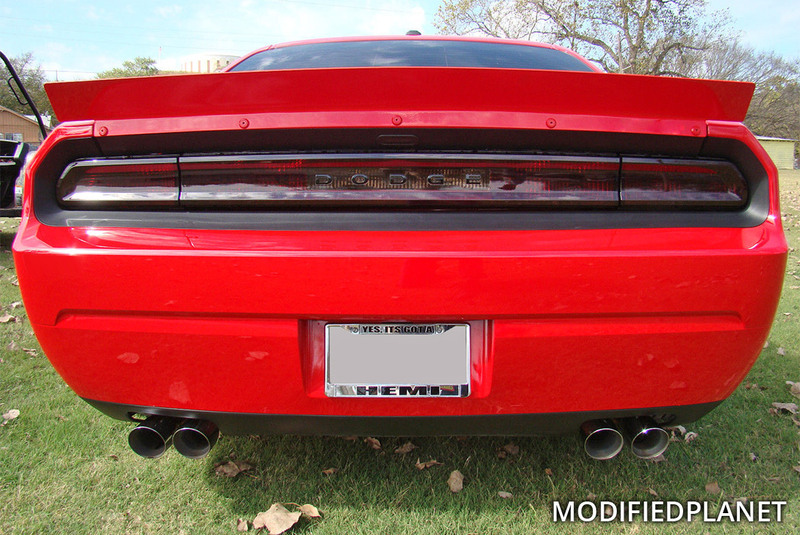 Modified 2011 Dodge Challenger featuring a Corsa Performance catback exhaust system. 2010 Smart ForTwo with a funny license plate that reads “AWESOME”. 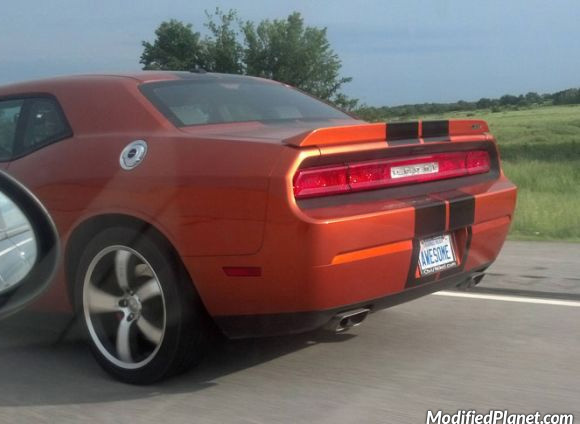 Car video of 2010 Dodge Challenger SRT8 with Kenne Bell Supercharger built by Titan Motorsports. 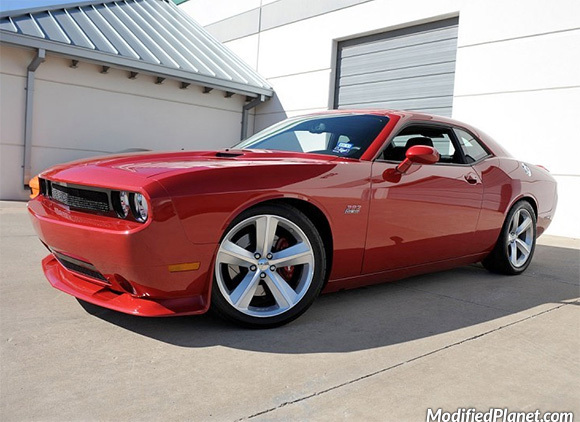 This 2010 Dodge Challenger is good for 520 horsepower and 470 ft-lbs of torque! 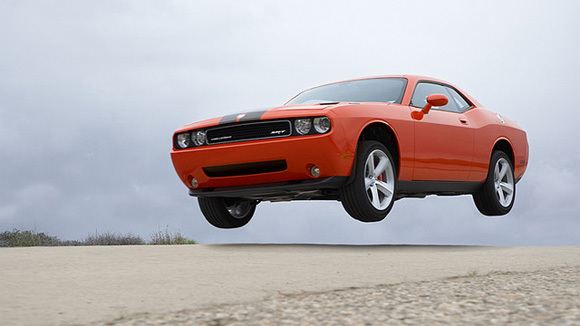 Not exactly Bo and Luke Duke’s 1969 Dodge Charger but this jumping car photo of a 2009 Dodge Challenger SRT8 flying through the air with all four wheels off the ground is pretty close. 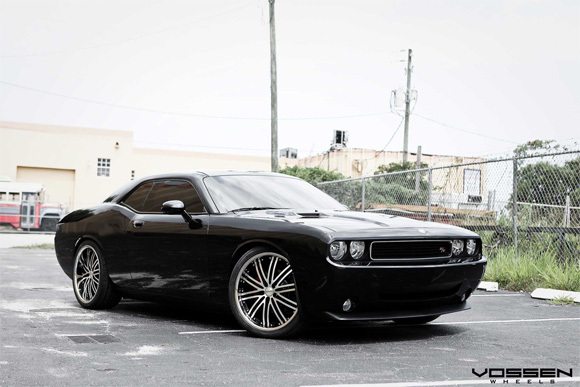 2010 Dodge Challenger with brilliant black crystal pearl paint sitting on some huge black machined Vossen VVS082 wheels. 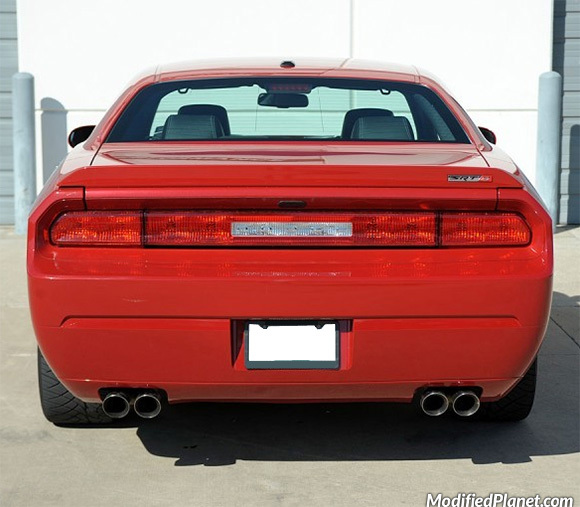 The front wheels measure 22″ x 9.0″ and the rear wheels measure 22″ x 10.5″. Damn!